Captain America: Civil War to kill off major character, can you guess who it is? If you’ve read Marvel’s Civil War comic, you know what happens at the story’s conclusion. It’s a big moment for the Avengers team, and concludes what remains one of the darker arcs in the Marvel universe. So, naturally, people who’ve read the comics are wondering how faithful the movie adaptation will be. Well, wonder no more, as That Hashtag Show has spilled a big can of beans. According to That Hashtag Show, Captain America: Civil War will feature two prominent deaths, beginning with Peggy Carter (Hayley Atwell). Earlier this year, photos and videos leaked out indicating we’d see the end of Mrs. Carter, so this news isn’t all that surprising (or unexpected). However, it’s the second death that could really shake up the Marvel Cinematic Universe. Apparently Civil War will end with the death of Captain America himself, Steve Rogers. If true, his death will mark a sad end to one of the coolest superheroes ever put to screen. Shocking! It’ll be a massively important moment, one that will likely leave a lasting impact on audiences young and old. Of course, if you’ve read the Civil War comics, you already know that Captain America dies. But to see Marvel go through with it on the big screen? That’s a big decision. Although Steve Rogers dies, there’s a strong possibility Captain America will live on. In the comics, Winter Soldier and Falcon both fill in as the new Captain America, so there’s a chance one of these characters will carry Cap’s shield (our money is on Winter Soldier). But don’t say your good-byes just yet: in Captain America: Reborn, it is revealed that Steve Rogers didn’t actually die, which means we could see him return at some point down the road, perhaps in Avengers: Infinity War. Either way, when the Russo brothers warned that there would be big moments in both Civil War and Infinity War, they weren’t kidding. 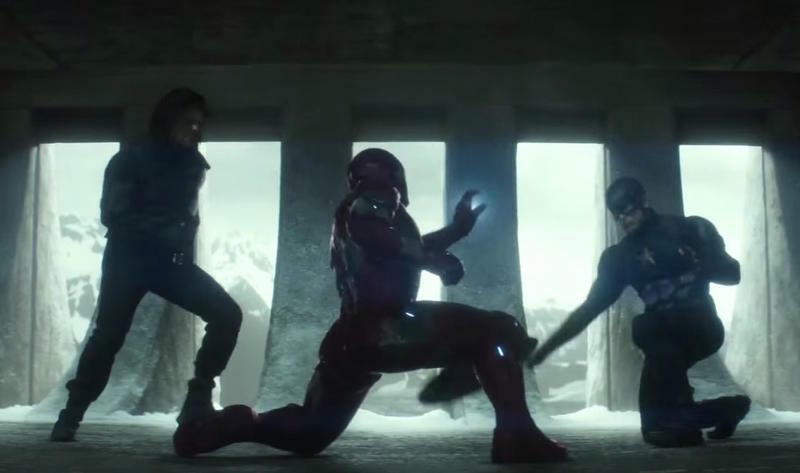 Captain America: Civil War will hit theaters on May 6, 2016.